We got to Hammond Lakefront Park right at sunrise to look for the recently reported Iceland Gull. 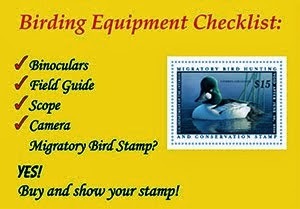 There was a large number of waterfowl moving which added a lot of new birds to all of our year lists really quickly! As we started walking down the breakwall, we noticed that there was a police car sitting out near the end of the pier. After we scanned the lake for waterfowl, he started backing up towards us. When he stopped next to us we were not sure what to expect and were completely shocked when he started listing off the duck species he had seen while sitting in his car out on the pier! As much as birder seem to have trouble with the police, this officer just wanted to share his bird sightings with us! Once we were out at the end of the pier, Eric quickly picked out the Iceland Gull and shortly after that a Glaucous Gull flew by! As we made out way back to our car, a White-winged Scoter was swimming around in the protected area of the harbor. We made a quick stop at the BP Warm Water outlet but without much ice on the lake, the warm water is not attracting many birds. On our way to Beverly Shores, we made a stop in the Ogden Dunes Pinery. 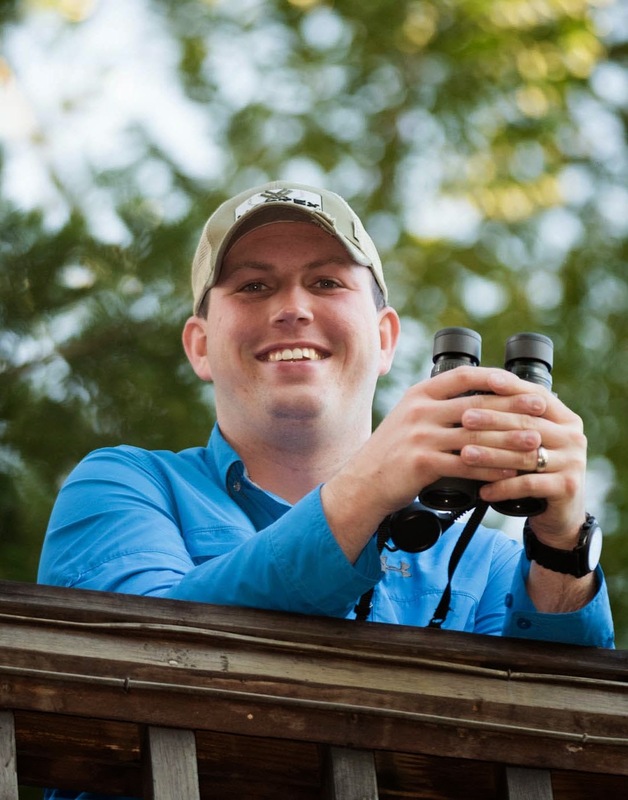 Although there had been some good birds reported recently, the area had almost no birds due to a Cooper's Hawk that swooped through just after we arrived. Beverly Shores turned out to be one of the best stops of our day even though we missed the Evening Grosbeaks that we were hoping for. John Mark got his lifer Northern Shrike after much searching and we found an "Oregon" Junco at some feeder in the area. After a quick stop for lunch at George's Gyro Spot, we checked the feeders at Indiana Dunes State Park. Unfortunately, we missed the Hoary Redpoll by just one hour! Our last lakefront stop of the day was at the Port of Indiana. 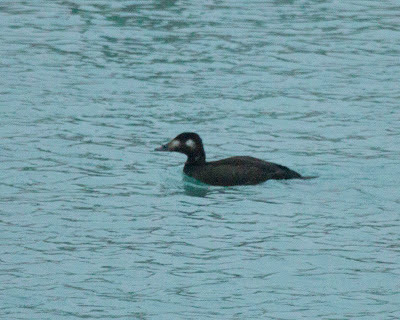 We were not there long but the waterfowl numbers were fantastic and we found both a Western Grebe and a Red-throated Loon! We decided to end our day in the Kankakee Sands area searching for Short-eared Owls. We arrived with plenty of daylight left so we searched the property for hawks. Northern Harriers were plentiful and we managed to find about 8 Rough-legged Hawks! 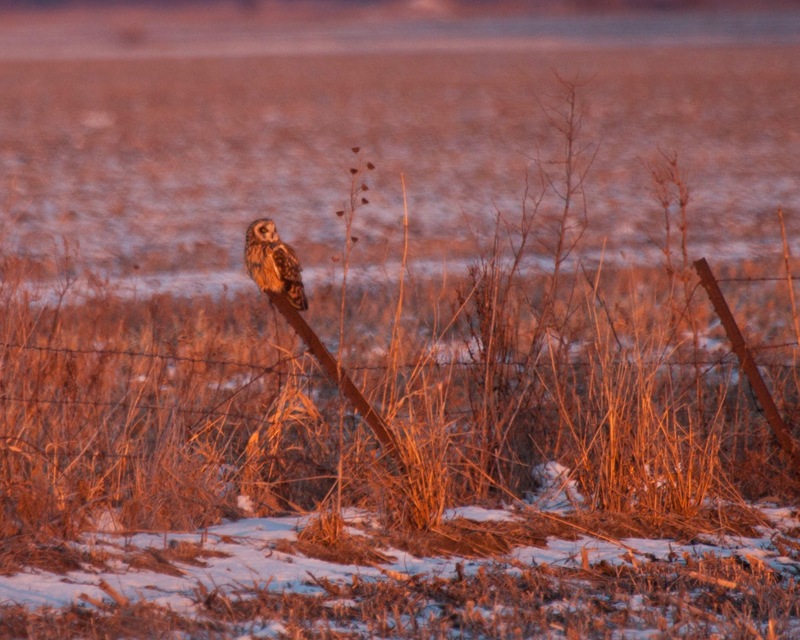 Shortly after sunset, Eric spotted a Short-eared Owl sitting in a plowed field near the road. Another owl popped up on a sign in front of us and we all got awesome looks! We still had a little daylight left so we headed over to Willow Slough FWA to check to lake for waterfowl. It was mostly frozen over but in the little bit of open water near the headquarters, there were 3 Snow Geese and 1 Ring-necked Duck mixed in with all of the Canada Geese. We ended the day with 62 species and John Mark got 9 lifers!